Hunting with guns and traps reaches Minecraft. 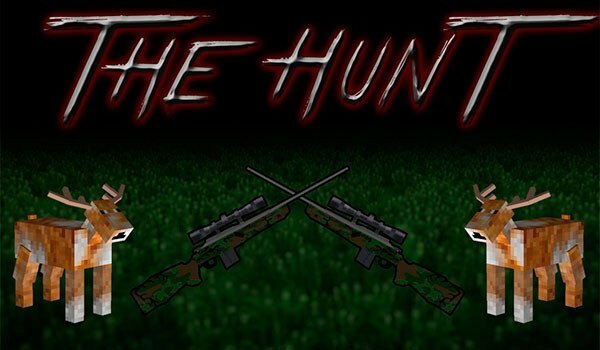 The Hunt 1.7.10 is a mod that focuses survival Minecraft, to capture and hunting animals to get new forms and food for our character in Minecraft, but obviously we can also use the traps and weapons adding this mod, to defend us from enemies or capture them, instead of animals. This mod adds to the game a knife, a shotgun and a rifle with telescopic sight, as elements that can be used to hunt, whether animals or monsters. On the other hand, the mod also allows us to use traps to capture animals or enemies. Also find a new beast roaming a new biome, it’s a deer. To enjoy this mod, we start a new world. When selecting options in the world, we’ll go “type of world” and we click on the button until the type of world “The hunt” appears. How to install The Hunt Mod for Minecraft 1.7.10? Weapons and traps of hunters, deer and a new biome for Minecraft!